The one thing people will notice this year with the Westmark is the inclusion of mid-wide versions. This is to replace the Blacklist, a board that has won multiple awards from us over the years. How did this board stack up after being renamed and built at a new factory? Camber Option: The System True-Rocker. Center reverse camber. Conditions: Gusty winds, flat light, and a mix of corn snow to ice. Flex: A true middle of the road park flex with softer tips and stiffening up through the middle. Stability: I’ve always found this board (Blacklist) to be stable due to having a bit more girth underfoot. The tips do get a little chatter at speeds when cruising around outside the park through varying terrain. Ollies: The reverse camber adds a skate like feel to the board with how you initiate pop. Instead of loading up the tail you can just slap it down at the last minute and the boost is there. It’s not the most overly poppy deck out there but it is that right amount to feel familiar with and make it over a natural feature or onto an urban approach rail. Pop On Jumps: This board for being reverse camber is actually really fun for hitting a jump. The fact you don’t have to pre-load means you aren’t spending more time setting up to pop off the lip. Butterability: I will say that I think there is more play in the tips than in previous years of this deck. This really lets you get up over the deck when spinning around on the tips. The reverse camber between the feet helps with not catching as you go sideways across the snow. Jibbing: Presses are so effortless on this board, mainly due to it being reverse camber. I will say that the softer flex in the tips really lets you push into the board on features. Carving: Having Arbor’s Grip Tech underfoot just gives added edge hold when railing a hard turn. For being a park board this is also one you can really carve well with. The sidecut is deep enough to do Euro carves yet not force you into them. Rider in Mind: The bigger footed park riding guy that will still hit the whole mountain. Personal Thoughts: Having ridden this deck for the last few years I know what it’s capable of. Though this is my first time riding one from the new SWS factory in Dubai, I can see that it still retains all the same properties that make it a highly recommend multiple award winning deck. 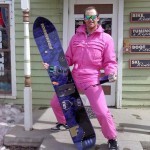 Disclaimer: This board was sent to us for product review from the Arbor Snowboards marketing director. This was a pre-production model there could be changes in the production model. i guess i’m the bigger footed guy who wants this board. europe size 45 weight 80kg. westmark 154mw wil do? 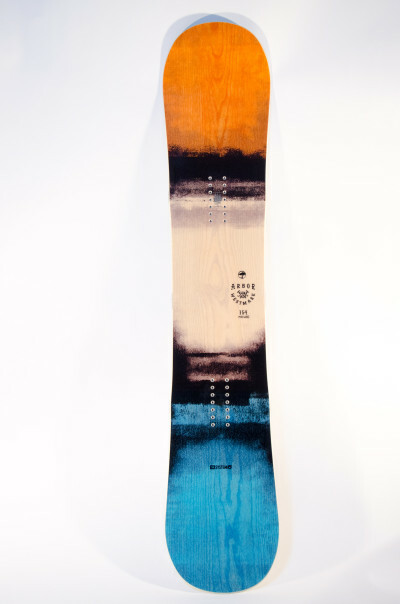 i want to get a new board for the 14-15 season. does the extra money really make a difference? thanks man, if you dont have the time to answer, i completely understand, but if you do, thanks for taking the time to help me out, i really appreciate it. Thanks for taking the time to check out the site and read the reviews. I think you want a Fastplant realistically of those three. That’s going to be the more well rounded one for what you’re looking to do. 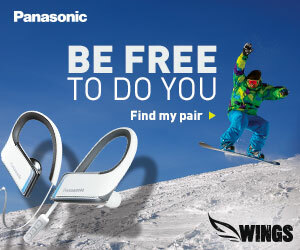 For bindings I would say check out the K2 line of bindings like the Formula that should match well with the Fastplant. Thanks a lot man! Is the fast plant wide enough for my foot size? Quinn, Definitely and if you’re worried there is a wide version. I got a little question regarding board size. I’m going to purchase an Arbor Westmark MW but I’m not sure if I should get the 157 or the 160. I’m ~185lbs, 6’4 and basically want to use the board everywhere from park to groomers and pow (20/50/30). 57 if you want more play, 160 if you want to charge more and be aggressive. It sounds from your percentages you want the bigger size. And btw there are not many sites with good honest reviews like these out there, keep it up. Thing is, if I wanted to charge more, I would probably buy a stiffer RCR kind of deck. I just wanna mess around buttering, jumping off side hits/ rollers and occassionally in park jumping some mid sized kickers, while being able to have fun in BC as well. Ahh.. decisions, decisions. Then if you want to play, go smaller. Probably best to go with the 57. Awesome is all in the eye of the beholder. I am contemplating between the 154W and 156 Arbor Westmark. I am 5’11” and weigh in at 178-180. I am mainly in the park being that I ride bear mountain and occasionally will get to Mammoth for some powder days. My boot size is 10.5 and I have large Union Force bindings. What size board you think I should go with? I am in a more playful feeling, buttering, rails, boxes but also jumps as well. Love powder riding but we all know that is not very realistic in Southern CA. Get the 54 since you’re spending almost all your time at Bear. Think the 154MW is too wide for a ThirtyTwo Team boot- Size 9? Might want to go with the 53 Mike. Chocs if you’re coming from a Bataleon to begin with you will be in for drastic changes going to a Westmark. I would say go with the Global Warmer because it’s what you know. It’s not the TBT it’s the camber profile that’s going to throw you off. What’s fun for me might not be fun for you. First of all thank you for what u’re doing with your reviews, it really helps me out with choosing a board! I can’t decide which one board to pick up this season! I’m 73kg 185cm progressing rider, who mainly hit the park. I do 70 percent jibbing/buttering, 30 percent jumps. I used to own bataleon e.t. and disaster and I love it’s playful and forgiving ride, but now I want a bit more of a control on a landings and on the mountain still with forgiving ride and good flex to have fun, spin on a rails etc. I’ve narrowed my choice to bataleon global warmer, arbor westmark. Which one would you recommend and in whats size 153 or 156? 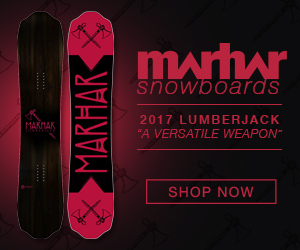 I’m looking for a board that is good for groomers, pow, side jumps, and rollers. I’ve been debating on two boards, both of which I’ve read your review on. I’m 6′ 0″ and 155 lb with a size 10.5 foot. 1. 2015 Arbor Westmark 159. 2. 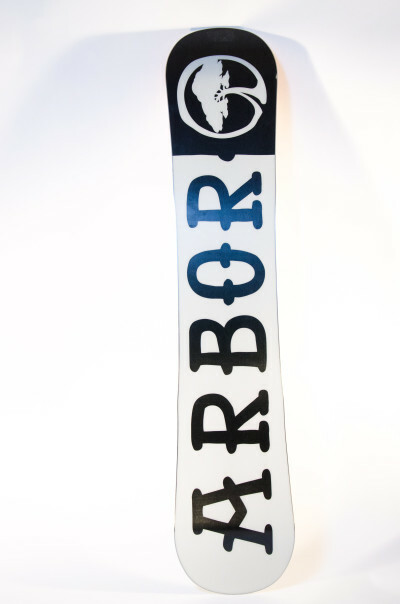 2015 Arbor Formula 158. Are you a never ever to low level intermediate rider? Yes. Then you can go with the Formula. No. Then look else where. You really sound like the Element or Coda would be better for you. Should I get the 153 or 156? Thanks you for the suggestion! I couldn’t find any place to demo the sizes. Would the 156 still be good for my 30% park riding? You’re fine. Best boot is the one that fits your foot. Please help. I’m 6,1 ft and 157 lbs. What size of westmark will suit better for me? Please help. I’m 6,1 ft and 157 lbs. What size of westmark will suit better for me? My shoe size is 10. Which of arbor westmark size will fit me better: 153 or 154 mw? I am 6,1 ft and 155 lbs, boot size 10? Get the 50 and just set your stance back on those powder days. The board won’t be ideal in pow, but will be doable. I prefer riding rails than jumps but I still hit some jumps once in a while. Which one should I choose. I weight 110 pounds, and I am something around 5’6. I hit rails 70% of the time but I like jumps a lot too. I can only find this board in a 154 MW for my price range about £300/$460. Im 5’5 15 years old and looking for a park board wpuld this one be okay or is there something else you suggest? Ive been looking at a burton name dropper too. My foot size is 8 UK. Thanks if you can answer! You can do it if you don’t mind having more surface area under foot, it won’t be ideal. One of the few, if not the only good place to read some honest views! Intermediate rider 50% mountain and 50% park. I am 165 with 10 – 10.5 boots. Normal size would have been the 156, but I see you prefer the MW version, right? Personal preference. Does 2cm’s make that big of a difference to you? Thanks again and keep up the good work man!!! Does the 153 still fits a boot size 10? (EUR size 43) Thanks. I ride a 156 Westmark, paired with Burton Custom bindings and Burton Ruler boots. This is my 3rd board. Started out in ’96 with an LL Bean board (made by Morrow, back in the day when Bean’s sold them). Picked up a cheap M3 last season, just to get back out there. The Westmark fits me well. I’m about 5’11”, 155, with a size 9 boot. My preference is carving, which the Westmark does an exceptional job with. My previous boards were extremely soft, very prone to overflexing and catching edges too hard while carving. We get a lot of varied conditions here in ME. From pow to heavy ice. The Westmark handles them all, but I find it’s sweet spot is soft packed powder. Plenty of it over at Sunday River. the westmark sound just like my type of board it’s a must have. im 190 punds, 6 feet tall and shoe 10.5. hit the park for like 30% and trees 70% i think it hits between 156 or the 157mw? dunno if i shoiuld go for the mid-wide or regular, help plz! Forgot to say, i make the whole mountain my park, ground freestyle 180’s n stuff, hit every thing, jump everything unless it’s not too big:/ intermidiate boarder. realized now that i had 11.5 – 12 (us) 45 – 46(euro) boot size, depending on boot model, still go with the regular? thanks man!!! Westmark 154mw or era 155w? for park riding more geared towards jibbing while hitting small to medium jumps. Whichever one you can get a better deal on. I am 5’9″ and weigh 162 lbs. My boot is a DC Judge 11 (I know it’s really old, but that’s all I have) — the length of the sole is 12 inches from the heel to the front. I am a solid intermediate, and I am interested in the Westmark. Which size would you recommend? Thanks in advance for your advise. Looking at adding something a little more playful to my quiver. Interested in either the Westmark or a Skate Banana. Wondering if you might have an opinion on the SB. Wanting a skate like feel kind of deck. Any help would be appreciated. Keep up the good work! Great site! Thanks for the reply. I’m currently riding a ’11 NS SL so I figured I’d try something a little different. Looks like the Westmark is what I’m looking for. I appreciate the feedback. Oh, forgot to ask……have you rode a SB? Sorry, one last thing. Would you buy this yr model or wait and get new model coming in Sept or so. I’m wondering how my h could possibly change? So, “Angry” in your opinion, will this give me that skate, playful kind of deck over my NS SL? While I have ridden the next years Westmark and it is a different ride, save the cash, get this years, and yes it will be more skatey than your NS SL. Just what I wanted to hear. Thank you very much for your input! How or where can I find/buy a angry sticker? I’d like to support a well deserved site. We’re in the process of redoing the website and webstore. Once the new site launches it won’t be long before the webstore will resurface. Actually……I’m glad I found a replacement for the SB……the Honda of snowboards HA! Is the extruded base noticeably slow compared to sintered bases? Love the site! I’m 5’7″ and my weight fluctuates from 180-200. Looking at the westmark as my dedicated Park board in my quiver. Would the 156 be adequate? Porter it’s totally doable, just when you’re at your heaviest it will flex a bit more. I’m 5’11 weigh from 200-225 lbs and I’m looking to at the 2015 Westmark 160 cm MW does that sound about right? i’m not beginner but not quite intermediate level yet. Seems appropriate as long as you have a size 10 or bigger boot.